It is fun, reusable and a Do-It-Yourself (“DIY”) dream. It has sparked millions of project ideas, and Pinterest has never looked more colorful, thanks to it. Meet “washi” tape: The Japanese crafting tool that has swept the world off its feet. See why crafters are talking about it, and how you, too, can make it your next favorite project tool. The words “wa” and “shi,” placed together, are essentially equivalent to the words “Japanese” and “paper.” The reason why this particular paper carries its own name is because it is made with the traditional Japanese blend of rice paper, tree root bark, and other fibers. It is indeed a special and unique kind of paper, and a traditional product that is widely used in its country of origin. For over 100 years, the mega popular brand “MT,” a minimalistic name borne out of the initials of “masking tape,” has been the leading washi tape brand worldwide. It is manufactured by the Kamoi Kakoshi Company of Japan. Hence, for washi to call itself “paper from Japan” makes it stand out from other papers. It is “the” paper from Japan; the original creation. 1. The backing of the paper contains less adhesive tack than the typical tape or masking tape. 2. The adhesive in washi can be made of acrylic, rubber or anything that does not bind as hard as typical adhesive substances. 3. The paper is always made with decorative rice paper, but bark and fibers can also be included. 4. The tape is removable, replaceable, and conforms to whatever shape or form you want to give it. 5. It has flexibility, and newer styles even allow you to dry-erase write on the washi. 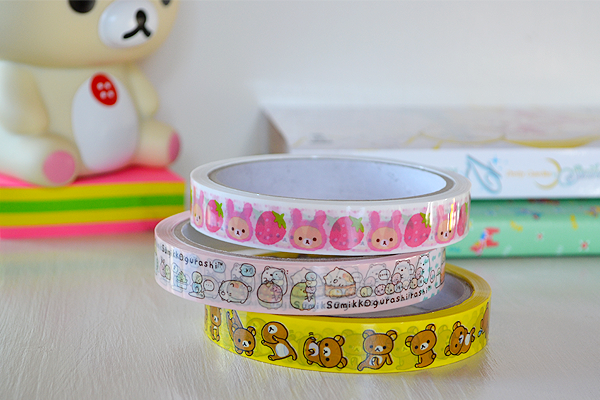 The idea of manufacturing washi tape the way that we use it today came up in the year 2006. According to Kamoi Kakoshi’s history, 3 female crafters sent an email to the Kakoshi company. In the email, they included pictures of projects made with the company’s product. In turn, the company invited the women to visit the manufacturer and got their feedback on improvements and ideas that could help the product become all the more usable. This is how Kakoshi began production of washi tape in a spectrum of colors, designs, patterns, and themes that can fit any project’s need. The high quality paper guarantees that it will be resistant to stretching and scratching. The ultimate result will be tape that is reusable, recyclable, and fun to apply to any craft. What can be made using washi tape? 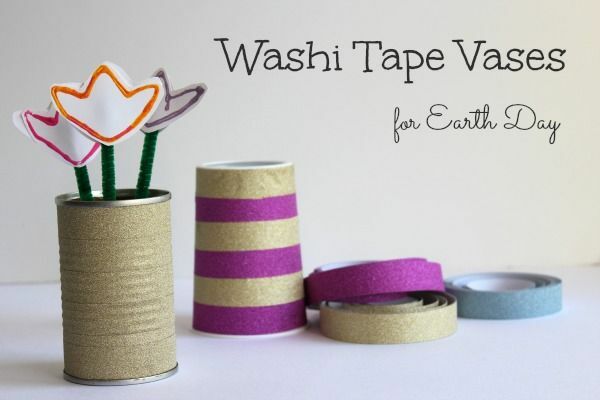 According to blogs and websites dedicated to washi, users like to stock up on the tape to secure seasonal designs, special editions, and to have as much of it as possible, particularly when the tape goes on sale. The more the merrier, therefore, more tape means more possibilities to make the project of your dreams. Just one visit to Pinterest will give you absolutely every idea on how to use washi tape. However, like it was previously stated, there are also blogs and websites that are completely dedicated to the product. 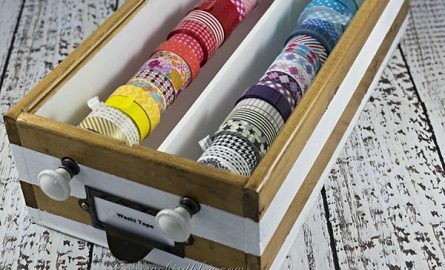 A simple internet search using the words “washi tape crafts” will take you right to the epicenter of this fun past time. Remember that this kind of tape is softer and more flexible to work with. Therefore, covering larger objects with the tape is not the nightmare it may appear to be. In fact, you can peel off and reposition the tape as you go. This means fewer chances of making mistakes that you cannot fix later. One very popular use for washi tape is as punch-out paper accents. Crafters put the tape through a die cut, whether electric or manual, and make shapes from the tape. This is like creating instant stickers that can attach to virtually any surface to include wood, paper, rocks, glass, concrete, and even brick. The MT brand, as well as other new companies that are now including washi tape in their repertoires, are creating newer and even more innovative versions of the same product. There are new designs that allow for the tape to work with dry-erase markers so they can used for message boards and other crafts involving writing. Some come with accent lines so that they can be mixed and matched to other washi designs and make even more visually-appealing projects. Washi tape is widely available in any arts and crafts store. It can also be found in major superstores that have arts and crafts sections as well as in direct-order websites. There, you can select from a wide variety of styles. 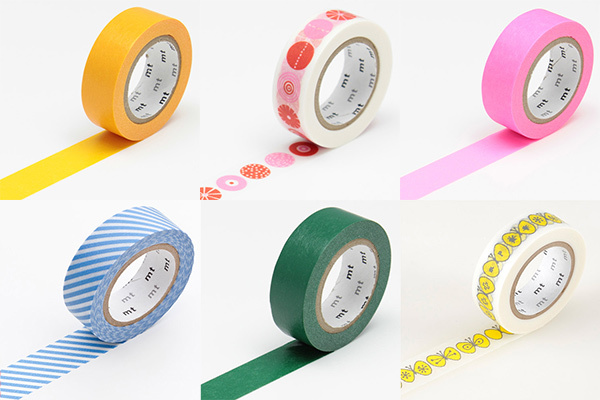 Start building your washi tape collection and have fun crafting!